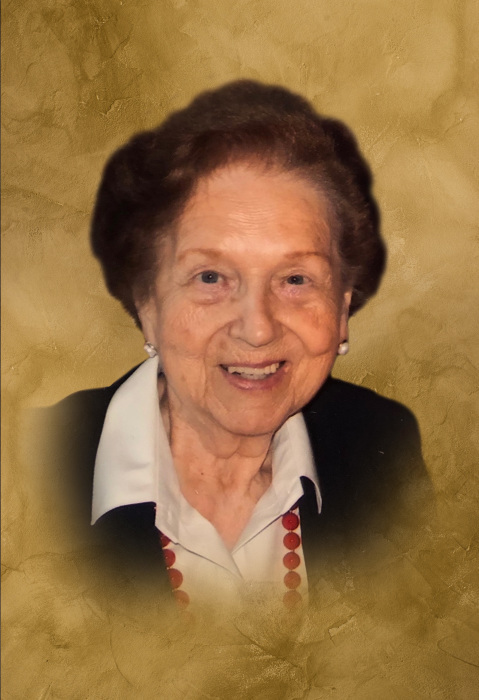 SOUTHBURY - Hedy Jaxa-Maderski, 93, departed this life on March 17, 2019 at Pomperaug Woods. She was the beloved wife of the late Captain George Jaxa-Maderski, Polish National Armed Forces platoon leadre, US Army Occupation, Germany. Hedy was born in Czechoslovakia on April 5, 1925 to the late Karl and Grete Goy. Having survived both the Nazi and Soviet invasions of Czechoslovakia during WWII and the horrors of working as a war time nurse in her beloved Prague, she emigrated with me and my dad to the U.S. in 1949. Prior to her retirement, she had owned Dunkin' Donuts franchises in New York City and worked in food service on Long Island. Hedy is survived by her son George Jaxa-Maderski of Queens, NY; his son, Petty Officer First Class Matthew Maderski (USN), his wife Haley Maderski and their son Connor; her daughter, Hedy Wade, wife of local dentist, Dr. Keith Wade; their children, Keith Wade (DC) and his wife Kate of Ellington, CT, Collin and Christina Wade from Richmond, VA, Eric Wade of Boston, MA and his fiancee Gretchen, and Katherine Wade and her fiancee Mark in West Palm Beach, FL. A Mass of Christian Burial will be held at 1:00pm on Friday, March 22, 2019, at National Shrine of our Lady of Czestochowa, 654 Ferry Road, Doylestown, PA. Interment will follow in the National Shrine's Cemetery. For directions, or to leave a message of remembrance, please visit www.CarpinoCares.com.